These components connect a hose to a micro-channel with a minimal dead volume. Consequently, a very small amount of liquid is needed to supply the device. 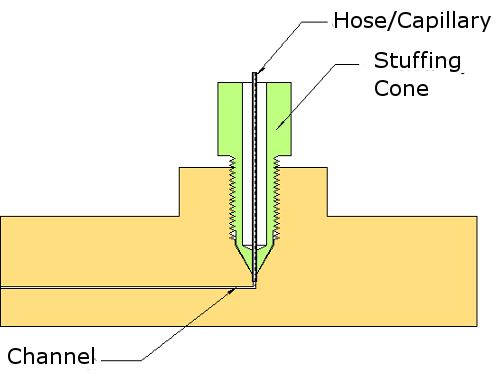 They exist with two different intern diameters: one to connect a hose of 1/32" (0,78mm) and another to connect a conventional capillary of 1/64" (0,40mm). 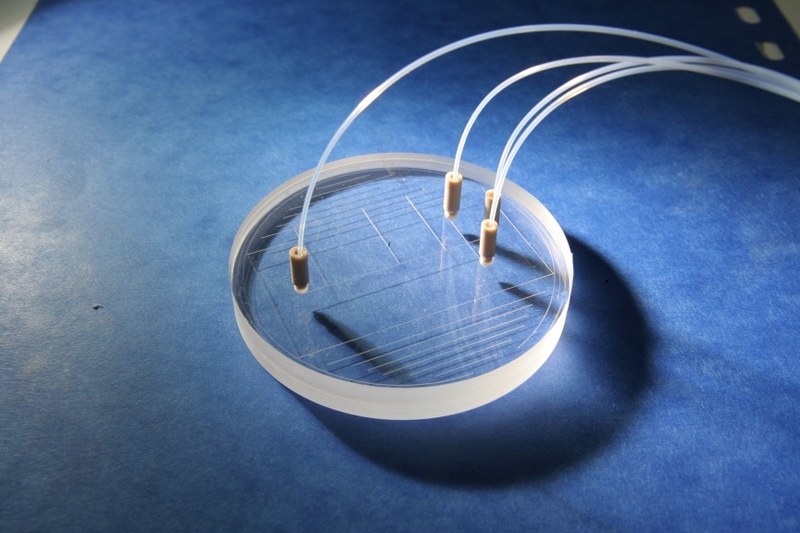 A standard 1/64 capillary with different intern diameters can be smaller than the channel width. They are fixed by screwing in the microfluidic device and are thus removable. They are made in PEEK, the sealing is performed by material compression without gasket. The maximal using pressure is at least 3 bars in most polymers. The usage of these connectors needs a micro-machining of the microfluidic device with a very accurate positioning with respect to the channels. This machining is easily performed by the OpticMac5. Notice : These connectors can be used to fix optic fibers closed or inside micro-channels.